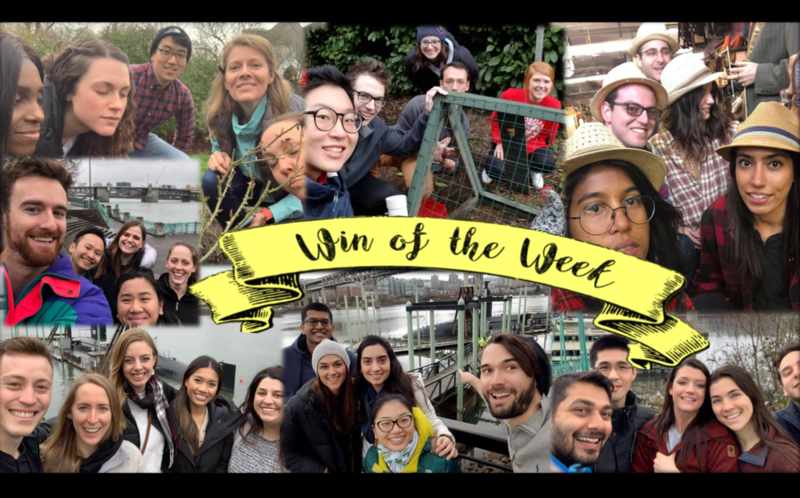 WIN OF THE WEEK: INTERN SKIP DAY!!!!!!! Interns soaking up Portland life! On Monday February 4th, the OHSU IM Interns were surprised with an annual tradition: INTERN SKIP DAY! With upper-levels covering all clinical duties, they were treated to a chief-led scavenger hunt and sponsored lunch out and about in the city they call home. Though the day was colder than anticipated (first day of snow! ), they managed to soak up the sights and found a lot of time for team bonding! How did they get on the ice??? also, we are no longer allowed near the Benson Hotel. Dr. Zach Dale performs a masterful macarena! Thanks Interns, for all your hard work day in and day out! We are glad you got to have the day off! !